Domingues e Pinho Consultores offers consult and a variety of services related to human resources management, such as DPC Talent Solution. This solution recruits and selects professionals from most diverse hierarchical levels and sectors, providing services such as Performance Evaluation, Training, Coaching, Skills Management, Remuneration System, among others. DPC HR solutions object the selection, training and developing what is most fundamental in any company, its human capital. Our HR professionals work together with other areas such as Personnel Department and Information Technology, developing and creating HR solutions focusing on the people development and improving the key processes related to the area to keep your company in compliance with current regulations. Our HR division works together with our clients from the diagnosis, the deployment until the follow-up the results, throughout a systemic view of People Management. DPC has a team of experts duly skilled in Brazilian legislation and in the particularities of each sector maintaining your company in compliance, including the latest changes in legislation. 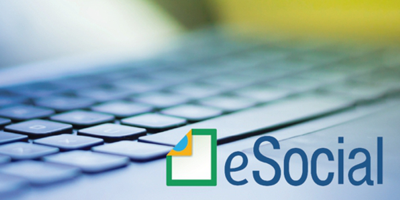 Your company is ready for eSocial? Our HR division may help your company with the necessary adjustments to comply with eSocial rules, working together with our Personnel Department. Contact us about it. Select the appropriate Talent to your business strategy. Learn more here DPC applies different selection techniques, such as technical and psychological exclusive tests, professional behavioral handwriting profile analysis based on the German methodology, utilization DISC Inventory (if requested by client), as well as structured interview focusing on skills, consolidating indicators which will support our client’s decision as to the best candidate. DPC develops solutions to evaluate and develop your human capital. Through the evaluation of periodic performance assessment, it is possible to identify the potentialities and skills that the employees need to develop as well as to value their talent and performance. DPC believes that retain your talent is as important as recruiting, therefore offers in-company HR training services performed by a team of experts, based on your company needs. DPC helps your company to identify required personal, technical, and managerial skills for each function, taking into account your company’s strategic goals. A clear remuneration system with well-established rules positively influences not only the employees´ motivation and their retention, but attracts new talents from the market. DPC may help you to establish a remuneration system taking in consideration the company’s culture and employees profile, by searching satisfactory alternatives to both parts. Several companies already count on DPC’s personnel management HR solutions. Check the testimony of one of our clients: America Tecnologia, an Information Technology leading company. The candidates’ selection quality, as well as the exchange of information during the recruitment process, were decisive to the assembly of teams with full integration. With this, we have been able to recover lost human capital in less than expected time. In order to optimize the performance of the area, outsourcing some services has been gaining space in the market, such as the recruitment and selection of new employees, performance assessments and training.